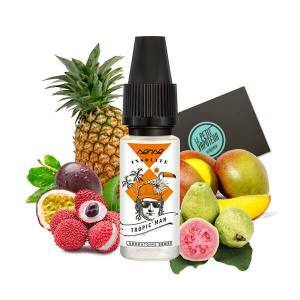 Sense Insolite is an e liquid for the Electronic Cigareet full of surprises and gluttony! 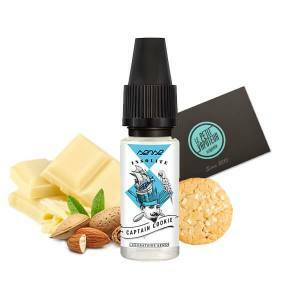 Sense Insolite created by the Phodé Laboratories, already the author of the famous range of 7 Péchés Capitaux (7 Deadly Sins) E Liquids which proposes original recipes, created with no additives, but with 100% natural aromas. The range Sense Insolite is prepared with 50% Propylene Glycol and 50% Vegetable Glycerine for the ideal balance between flavour and vapor and is adapted for the Elelctronic Cigarette. Insolitement Good! A banana crushed on biscuit straight out of the oven. 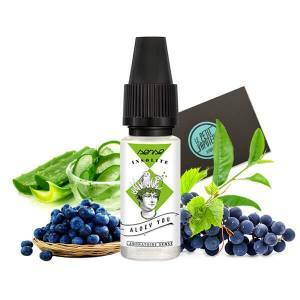 Aloe Vera, Blueberries on notes of Tea. 10ml Bottle in 50/50 PG/VG. Colazon is the Seducter. The heart takes sensually a pressed Blood Orange in a glass of Cola.